Unique cabin style studio tucked away in quiet, up and coming Foster neighborhood. Walking distance to coffee shops and restaurants. Close to 3 major bus lines and light rail. 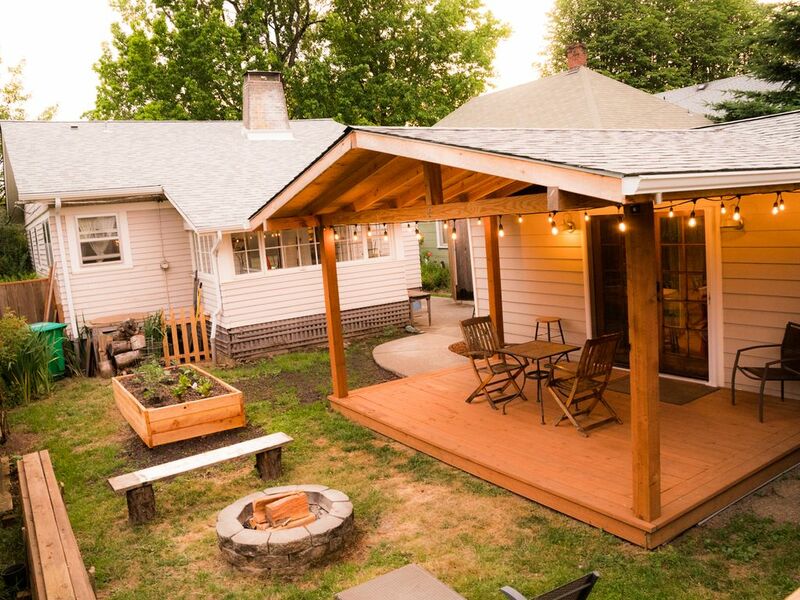 Just 20 minutes from Portland International Airport, 10-12 minutes to Hawthorne, Division, and Woodstock neighborhoods, and 15 minutes to downtown Portland. This little urban nirvana is detached from the main house, and offers complete privacy. Cedar walls and pine wood floors throughout give it a modern cabin feel. Gable windows and french doors provide an abundance of natural light, and room darkening curtains provide a good amount of shade. Vaulted ceilings and properly utilized space make it feel spacious yet cozy. It’s great for guests seeking a place to relax and recharge after a day of exploring Portland. The cabin has a full bathroom with clawfoot tub. Body wash/shampoo, towels, wash cloths and other essentials are provided.